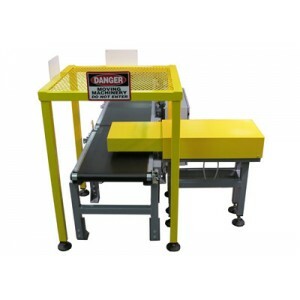 Intermediate Pusher is available in stroke lengths for use with 12” or 18” wide conveyor belts. This free-standing pusher must be bolted to the floor. This device is rated for weights up to 50 lbs and rates up to about 30 per minute.